Nisbets has created an infographic illustrating the modern food trends. As the human race evolves, so has our diet. As an individual strives to understand what constitutes a healthy diet, there's information which says otherwise. 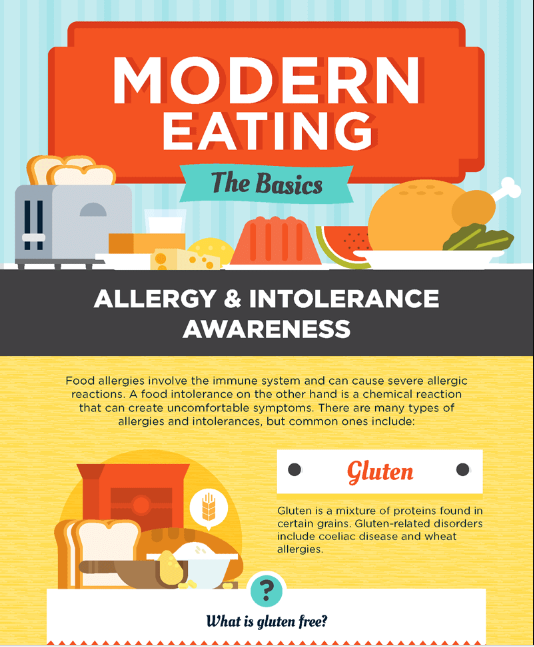 On top of this, The infographic also covers food allergies and intolerance. If you know of someone that's allergic to peanuts, things can turn bad pretty fast when it strikes. This information would come in useful for restaurant owners who are planning their menu. The will know how to design the menu in such a way to reflect and respect the different food allergies and intolerance.